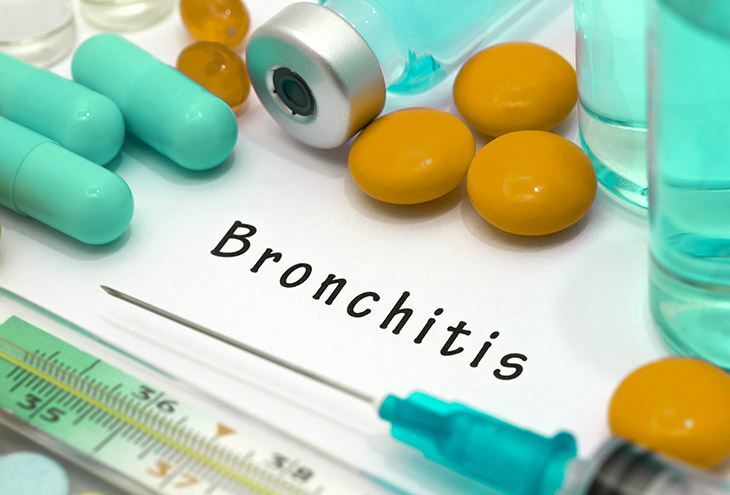 Medical problems like asthma, tonsillitis, allergies and heart problems may increase the risk of the development of acute bronchitis. When acute bronchitis occurs in toddlers, the irritation in the air passages would induce coughing and other breathing problems. Thus, it is important to know more about this health condition to properly identify the symptoms and the treatment options available. In healthy children, this health condition follows a self-limited process and often gets resolved in one to two weeks. However, it may also result in being absent from school and may even develop into a chronic condition. To arm us with the initiative to properly identify this condition, I have collated five distinct symptoms of bronchitis in toddlers. Read on to learn more. One of the distinct symptoms of bronchitis in toddlers is a constant cough. A cough often lasts from several weeks to months. A cough often starts out as dry and unproductive. However, this often becomes more severe, resulting in the production of yellowish or greenish mucus. Sometimes, your child may gag or vomit while he or she is coughing. Cough medications may be given. However, this should only be done with the advice of your child’s health care provider. It is important to avoid self-medicating as specific dosage is required for therapeutic effects of the medication to take place. Aside from providing medications, you should allow your child to rest and drink plenty of fluids. Fluids are essential, as it can keep the air passages moist, allowing your child to effectively cough up mucus. It is also important to avoid smoking near the child as this can induce more coughing fits and may cause difficulty of breathing. A cough associated with bronchitis in toddlers may result to chest pains while coughing. Your child may also feel shortness of breath and may wheeze. In other cases, even the act of deep breathing may even induce chest pains in toddlers who have bronchitis. 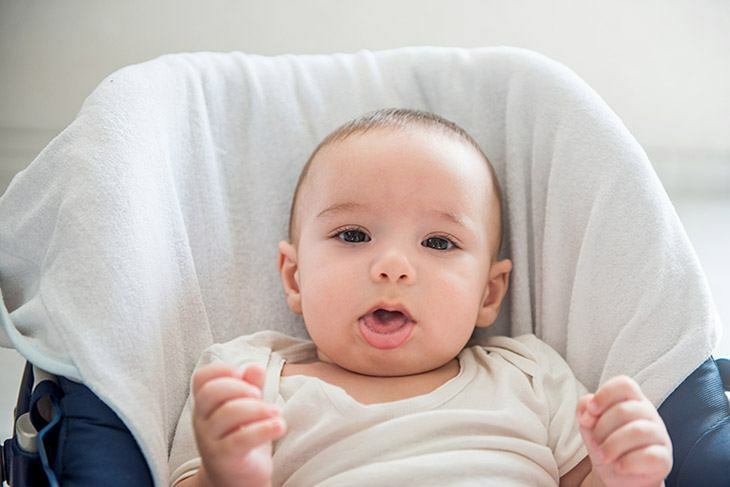 When your child complains of chest pains while coughing or deep breathing, you should allow him or her to rest and be in a comfortable position, making sure that less pressure is applied on the lungs or chest area when breathing. Allow your child to rest and make sure that you do not aggravate the condition. Toddlers who have bronchitis often develop a fever. The temperature may reach the range 100 to 101 degrees Fahrenheit. In addition to fever, your child may also develop other symptoms of fatigue like body aches and chills. You child will feel more tired than usual. To relieve fever associated with bronchitis in toddlers, you may give your child acetaminophen. You should avoid giving medications like aspirin as this medication is often associated with the development of Reye Syndrome that affects the brain and the liver. If you are unsure of what to give your child, you should seek consult first from his or her health care provider. Adequate hydration and rest are also important when the child develops a fever. 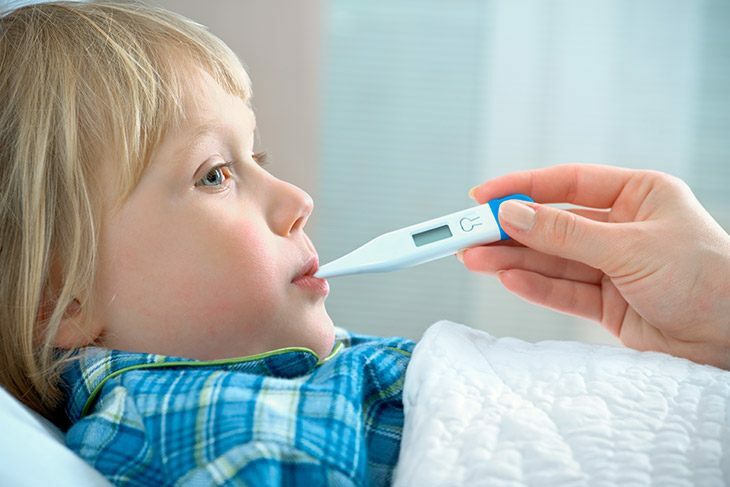 You should allow your child to rest until the fever subsides. 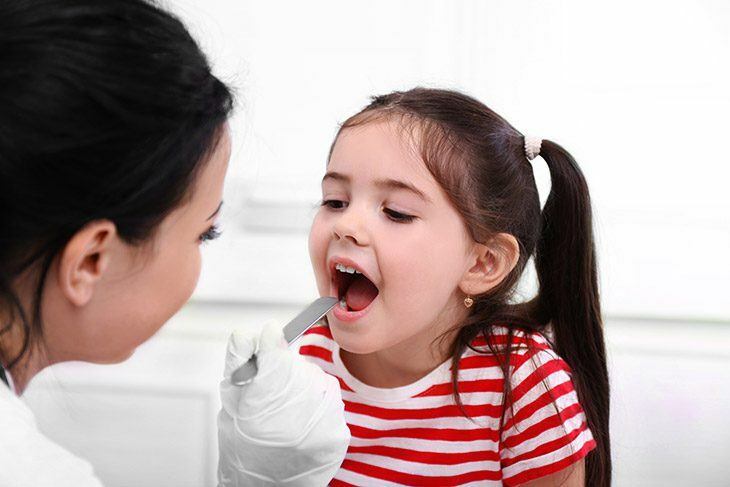 In bronchitis, your child may develop a sore throat. Since this health condition affects the air passages, the inflammation or infection may also affect the throat, leading to a sore throat. When a sore throat becomes a problem, you should let your child drink plenty of fluids and make sure that he or she is well hydrated. A sore throat may become severe with dehydration. Adequate hydration can soothe and moisten the throat and may relieve the soreness. 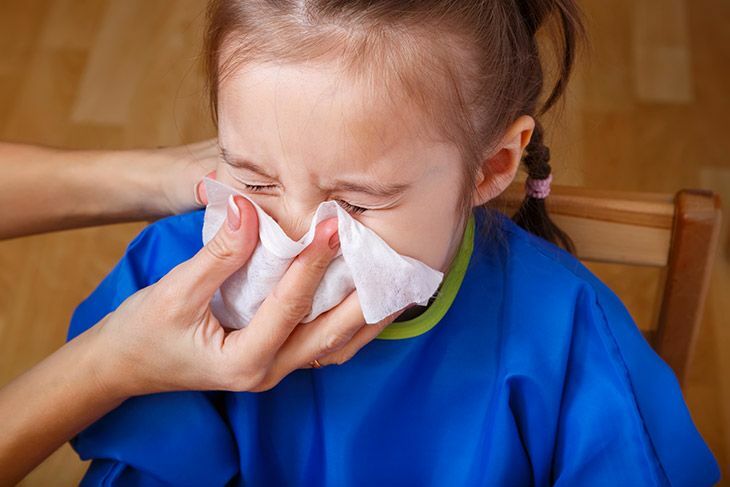 Since the air passages connect the lungs, the throat, and the nose, the infection can also affect the nose, resulting in a runny nose. To relieve runny or stuffy nose in toddlers, you may use saline nose drops as recommended by your child’s health care provider. If saline nose drops are not available, cleaning your child’s nose will also help. You can make use of a suction bulb to do this. In using a suction bulb, you have to squeeze the suction bulb first before gently placing the rubber tip into the nostrils of your child. Once in place, you should slowly release the bulb. The suctioning mechanism will draw any clogged mucus out of your child’s nose. If your child’s symptoms become more severe in the first few days, it is important to let your child’s health care provider know about it. It is also important to mention if your child’s fever reaches 103 degrees Fahrenheit. If wheezing develops in addition to severe coughing, you should consult your child’s doctor. Coughing up blood is also considered a medical emergency. Thus, you should seek medical consult right away. Ensuring your child’s comfort and safety is a number one priority for mothers like me, especially during times of a medical emergency. 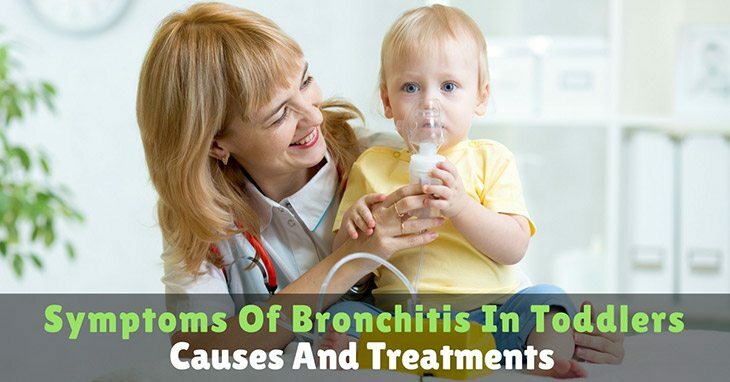 Thus, it is important to be cautious and watchful of the five distinct symptoms of bronchitis in toddlers and how they can be effectively managed. If you have learned something from this article, feel free to share it and your experience in the comments section below. Let‘s be proactive in providing quality life and health care to our children! You can do that by sharing this article with other mothers and fathers out there!